Hearing is one of those things that we take for granted. From watching television to listening for sounds while making a repair on a vehicle, it’s one of our more prominent and important senses. The one issue we tend to think about when it comes to our hearing is its loss, but you might not be aware that an equally important problem is overly sensitive ears or hyperacusis. Sensitivity to loud noise can be a major hindrance in the modern world. 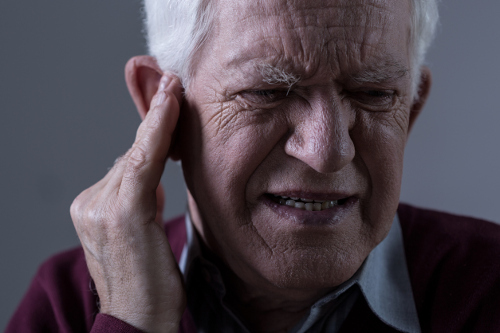 In this article, we’ll take a look at noise sensitivity causes and the issues that it can cause, like noise sensitivity anxiety. We’ll also look at the treatments available to help deal with hearing sensitivity. People are rarely born with hyperacusis. In fact, true hyperacusis sufferers aren’t very prolific either, as it only affects 1 in 50,000 people. With that in mind, what causes hyperacusis is a bit of a medical mystery. We know that there are a few issues that can cause it, but what is going on to cause the sound sensitivity is still unknown. The above causes are all linked to hyperacusis, but there’s no clear reason why some of them cause the sound sensitivity other than it involves injuries to the head area. And, those sensitivities can lead to some pretty terrible symptoms. When you have sensitive ears, everyday sounds can be a nightmare. Sounds that the rest of us can filter out or might not pay much attention to can be painful, and even debilitating to people suffering from hyperacusis. The symptoms can be quite serious and can include the following. Loud noises can lead a person with hyperacusis to being uncomfortable, especially if it’s a constant loud noise. Loud noises can cause a hyperacusis sufferer physical pain, usually from a sharp, loud noise. An example would be the sharp metal brakes on a bus or a subway coming to a squealing stop. Loud noises can cause a variety of mental issues in those with sensitive ears. You’re on edge due to what a loud noise might bring with it, like pain for instance. This anticipation and noise anxiety can lead anxiousness and even depression. There are different types of sound sensitivity. One of the most devastating is hyperacusis, but the others can go along as part and parcel with hyperacusis as well. The different types of sensitivity are two-fold. They can be an actual physical issue, but they can also be partially a mental issue as well. As we’ve explained, it is sensitivity to noise, especially loud and sharp ones. Recruitment is a sound sensitivity that usually goes hand in hand with hearing loss. Essentially, noises can seem much louder to the sufferer than they are to anyone else. This increase can get to the point of being unbearable. Misophonia is the dislike of a certain sound or sounds. It is more of a mental issue than a physical one. Phonophobia is the fear of a loud sound or set of sounds. Again, this is more of a mental condition than having a physical component. Having hyperacusis can play a part with the other sound sensitivities, especially misophonia and phonophobia. If a loud noise can become painful to you, then it stands to reason that you would come to dislike and even fear it from occurring, due to the pain and discomfort it would bring with it. Treating hyperacusis can be a difficult task. There are no specific surgeries or medication regimens that can help cure you of the issue. However, there are a few treatment options that may be able to help you deal with hyperacusis. The first step to dealing with your hyperacusis is learning everything you can about it. Doing this can go a long way to figuring out what sets it off so that you can reduce or mitigate how hyperacusis affects you. Counseling is a great supportive measure to help you handle any of the mental pressures that may come with the condition. Using special noise generators, doctors will try to desensitize you to noise so that the sound impacts of hyperacusis are less noticeable. CBT can be used to help the mental side of things. It will teach you how to change your behavior and react differently when a noise triggers your hyperacusis. The goal of all of these treatments is to lessen the effect of hyperacusis on you and your life. The world is a very loud place, and an issue like hyperacusis can do it’s very best to make sure you don’t leave your room. Hopefully, these treatments can help you lessen the problems of hyperacusis so that you can live a full and active life. While no one can say for sure what causes the damage to your hearing resulting in you becoming a hyperacusis patient, it is very clear that it may be the consequence of preventable head trauma. Wear a helmet when biking or performing a sport where head injury is a possibility. It’s also a good idea to get your hearing checked on a regular basis as it may detect hyperacusis early. While that doesn’t mean you’ll be able to stop it, it does mean you can get into treatment quicker, and learn how to deal with the issues that hyperacusis causes before it hits you at full strength. “Sensitive Ears (Touch and Sound) Meaning and Causes,” Healthhype; http://www.healthhype.com/sensitive-ears-touch-and-sound-meaning-and-causes.html. “Hyperacusis: An Increased Sensitivity to Everyday Sounds,” American Academy of Otolaryngology–Head and Neck Surgery; http://www.entnet.org/content/hyperacusis-increased-sensitivity-everyday-sounds.